Acadiana Contractors is a locally owned and operated business established in 1991 with a goal of providing complete exterior remodeling solutions with an emphasis on customer satisfaction. 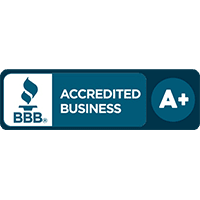 We are an accredited member of the Better Business Bureau and the Chamber of Commerce and are commercially licensed by the State of Louisiana. Our team offers a full suite of exterior remodeling services, including seamless aluminum gutters, gutter guards, siding, patios, carports, custom screen and glass enclosures, windows and storm shutters. In line with our commitment to giving our valued customers nothing but the best, we carry some of the best brands in the home improvement industry, including James Hardie® and Eze-Breeze®. We’re also proud to be an authorized dealer for Gutter Helmet®, the first, best and most installed gutter guard brand in the world. Their commitment to product innovation and excellence mirrors our own dedication to customer care. 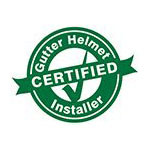 Gutter Helmet® has been the number one name in American gutter protection for over 30 years and is trusted by millions of homeowners across the country, ourselves included. At Acadiana Contractors, we offer industry-leading written warranties and take care of you long after the sale. Our quality materials, experienced employees and proven track record allow us to provide peace of mind and a truly hassle-free experience for our customers. Get in touch with one of our sales representatives for inquiries or to get a free, no-obligation quote by calling (800) 824-3772. You can also fill out our online form to schedule a free in-home consultation at your own convenience. We look forward to helping you with your gutter protection and home improvement needs.